Wellington Regional Stadium or Westpac Stadium for reasons of sponsorship is a multi-purpose sporting arena which opened on the 3rd January 2000 to replace the set of outdated facilities at Athletic Park across the city. The ground is often referred to as “The Cake Tin” due to the cylindrical shape and silver coloured exterior. 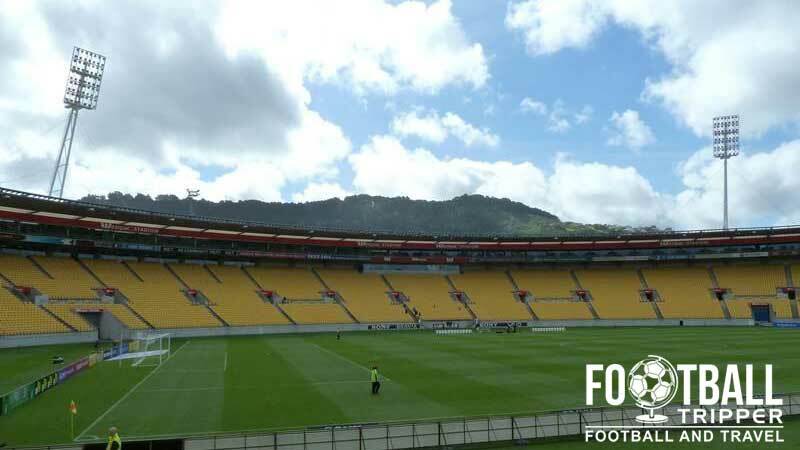 Wellington Regional stadium was constructed over a two year period starting in March 1998 and opened at the turn of the millennium on the 3rd of January. Built by Auckland based builders, Fletcher Construction, the ground was constructed on reclaimed railway land next to Wellington Harbour and as a result it has excellent views of the nearby body of water. Owned by the Wellington Regional Stadium Trust, commercially it is known as the Westpac Stadium after the global Australian bank and financial services provider although the locals refer to it informally as “The Cake Tin”. The 48,000 capacity venue is bowl shaped and combined with the shiny metal exterior it certainly looks like something which belongs in an oven. 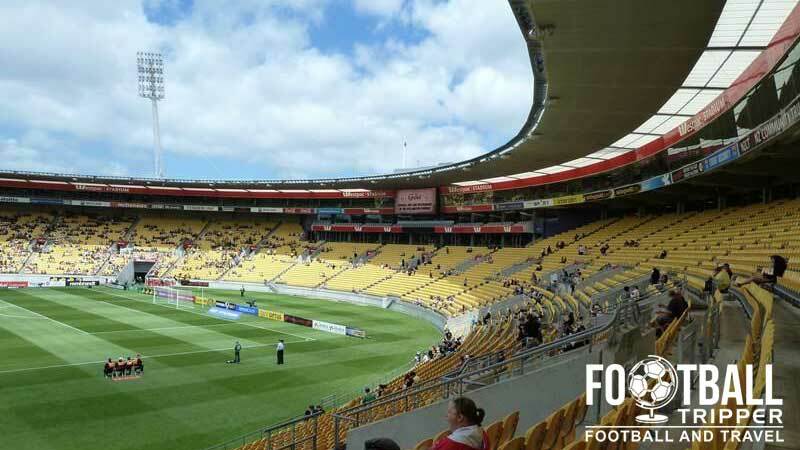 Wellington Phoenix fans not content with the feminine sounding fans have dubbed their stadium, “the ring of fire” although based on their performance since joining Australia’s A-League this intimidating name isn’t the most appropriate! They have however fared much better than the likes of Brisbane Roar and the Newcastle Jets in recent seasons. The largest crowd for a non-international football match came in 2007 when Phoenix hosted David Beckham’s LA Galaxy in a friendly match which saw 31,853 spectators witness the American side beat the locals 4-1. The 2010 World Cup Qualifier against Bahrain on the 15th November 2009 holds the current soccer attendance record with an additionally 3,000 or so supporters watching the All Whites win one nil. 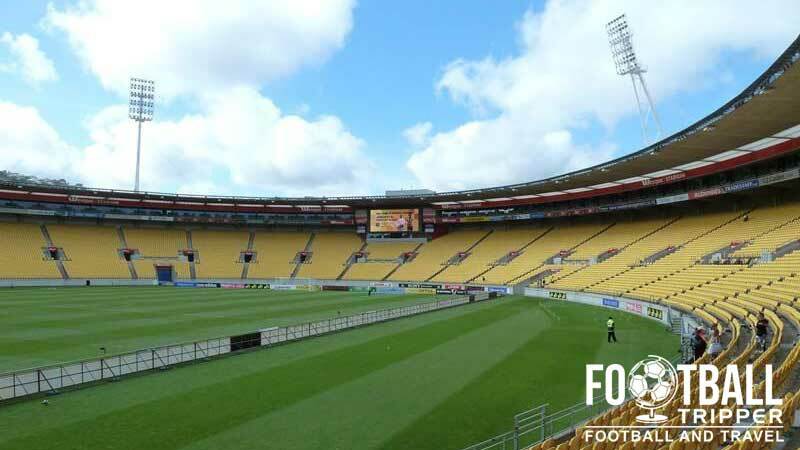 Westpac Stadium consists of the following four stands: North, East, South and West. Within the nearby area of Thorndon where Wellington Central Station is located there are quite a few pubs to hand such as the Thistle Inn Tavern, The Backbencher Pub & Cafe, and The Old Bailey. Back towards the city centre there are of course more boozers such as the Little Beer Quarter and Fork and Brewer. At the stadium there are two official bars which are open to the general public on matchdays, assuming that there is space. The Pavilion Bar is located opposite Aisle 16, and the Mezzanine bar which opened on April 2014 is housed in the concourse between Aisles 25 and 26. Both have numerous televisions inside, decent views of the surrounding harbour and good service. There are numerous food and beverage outlets throughout the concourses, all of which sell the usual stadium classics such as pies, hamburgers, sausage rolls and chips. As well as selling a range of soft-drinks and warm beverages, there are also one or two specialist stalls throughout are dedicated to certain cuisines or food types such as fish & chips, curry, and ice cream. Fans can purchase official merchandise on matchdays from the various kiosks at The Westpac (Aisles 14 and 23) in addition to the recently designed online store, The Phoenix Shop. 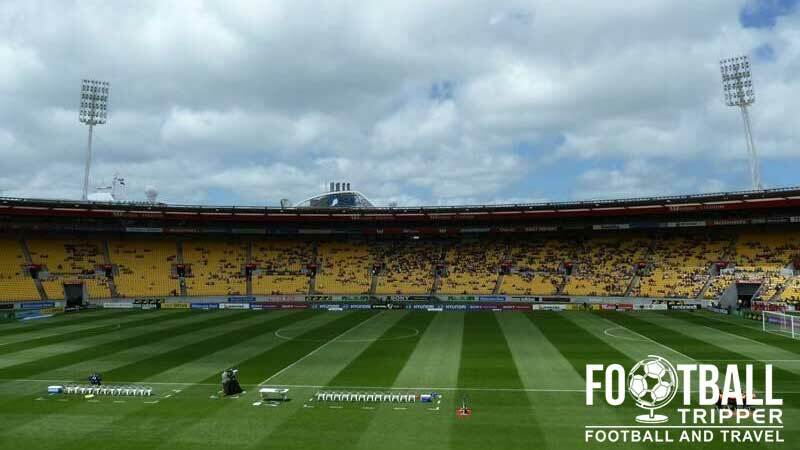 With the exception of the pitch, fans who undertake the fully guided tour pretty much cover every inch of Westpac Stadium including the likes of the VIP hospitality at the very top to the players changing rooms in the main stand. Lasting anywhere between 60 and 90 minutes tours must be booked in advanced and are generally unavailable in the days before, during and after an event. The distinctive yellow and black colours of the Phoenix Faithful. 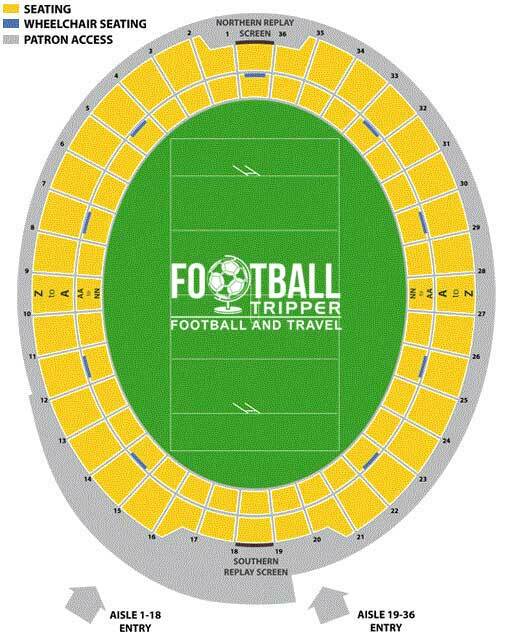 To book a tour you can either phone the guys at the stadium on 04 473 3881 or use the contact form at the bottom of this page. Tours cost a minimum of $50.00, however this is split between the number of participants per visit. Please note that the above ticket prices are illustrative for the 2015 season and do not include booking fee and payment processing fee for some credit cards. Wellington Regional Stadium is located on reclaimed railway land approximately 1km north of the central business district overlooking the city’s main harbour. The entrance for those lucky enough to be sat in corporate boxes. I have no idea what the squid/seahorse things are? The stadium’s official car park has room for 850 cars and around 50 buses, with a space available at a cost of $30.00 per vehicle during sporting events. Parking spaces can be reserved by either sending an email to [email protected] or phoning the stadium trust office on 04-473-3881 as long as you do so a week before the event. Wellington Central Station is located five minutes south of the stadium, and it has frequent services to the rest of New Zealand which makes the ground accessible from across the various islands. For complete timetables and services available please visit Metlink’s website. The grandiose exterior of Wellington Central Railway Station which first opened in June 1937. On matchdays there is a special shuttle bus service which runs every 10 to 15 minutes from the centre of Wellington. Costing $5.00 for adults and $3.00 for children, the service drops fans right outside the turnstiles and even offers a return service after the match. The closest hotel to Westpac Stadium is arguably the Kingggate Hotel, however just five minutes further along Waterloo Quay there is much more choice with the likes of the budget Hotel Waterloo & Backpackers, Rydges Wellington and Wellesley Boutique Hotel.